Winning startup receive a fully-paid 5 day trip to Israel, have their own booth at the DLD Tel Aviv Innovation Festival, access to the DLD events, meeting media, investors and local ecosystem builders, as well as special mentoring sessions. 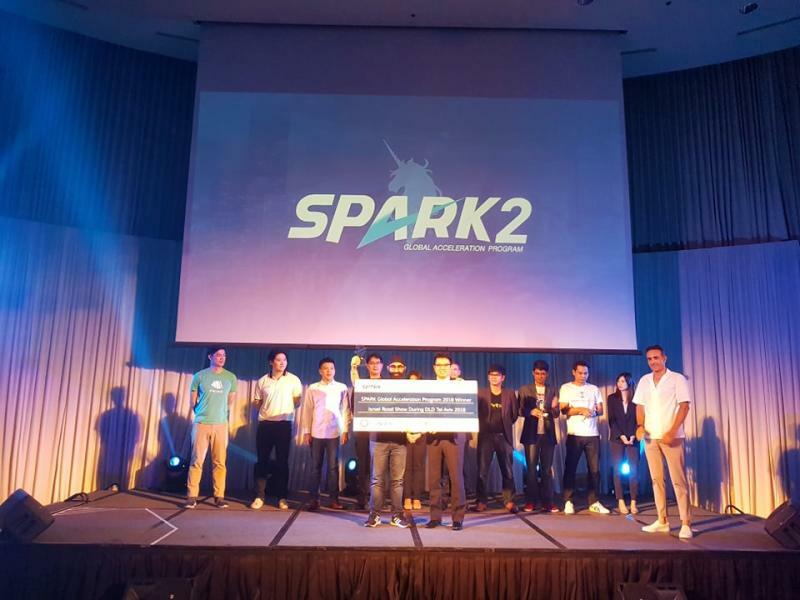 SPARK Accelerator supports high-potential Thai startups in early-stage through intensive mentoring sessions with regional and international experts to guide and improve startups’ capabilities, products and solutions to reach the global market’s needs. Barak Sharabi (CGS, Infinity Technologies). CAP Rangers is an on-demand part-time job platform that connects students looking for a placement and companies recruiting on such positions. The applicants can submit their resume online. CloudCommerce is a platform for cross-border e-commerce and e-logistics that uses API technology as platform business model. Customers can choose different couriers listed for the multiple destinations; shipment is made by air. ENRES is an energy optimisation platform that aims to help buildings reduce their electricity consumption around 30 per cent using IoT and AI technologies. Moreover, customers get recommendations and notifications to respond in real-time. Not only does the client save on building’s operation costs, but s/he will also help reduce energy for a more sustainable future. Foodie is a next generation foodtech platform which unifies online orders, custom analytics, loyalties, automated campaigns, POS, contact centres, e-commerce and payments using its proprietary technology. Foodie is currently used by a variety of chain restaurants and is undergoing deployment within another large chain comprising of over 400+ stores. Happenn is an event platform which aims to maximise event organizers ROI by featuring a turnkey and white-labelled platform that enhances attendee experience and engagement as well as capturing audience’s insights and event’s impact. iVet is developing innovative technologies for pets (mainly dogs and cats) that will be used by veterinarians when advising the treatment. In addition, iVet has a few established products with the brand “PETANEER”: Aquatrek, Pet Well Suit, Flexzwheels. Kooup is the first horoscope dating app that uses Asian beliefs and perspective in horoscope as a tool to pull users. The process is to search and match the users with a person through algorithms that ranges from ancient Thai fortune methods or modern Chinese consolation matching. MEiD is a cloud-based healthcare platform that can be accessed anywhere in the world, using wristbands or other products as keys for access. It helps identify patient’s data and information. It has 2 main functions: an emergency button that can be activated anytime and an integrated program that records early symptoms of a potential disease. OneChat is an automated e-commerce platform helping other companies to send messages to their customers boosting sales for e-commerce in Asia. Currently there are more than 500,000 users and most of them are SMEs. This program provides 24/7 customer support. Ooca is a telemedicine mobile application for patients who seek live professional counselling advice from psychologists in order to be more confident and increase their self-esteem. In addition, Ooca allows people to book appointments and choose the preferred doctor in advance. Pastel Keyboard is an extension keyboard that offers different themes such as Sanrio’s character. In Thailand, Pastel Keyboard has been ranked among the top 5 companies. One of the main benefits is the fact that the user doesn’t need to switch into a different app, which is inconvenient. Primo is an app used to compare promotions/benefits offered by different credit cards/loyalty cards that user actually own. Primo is using an algorithm that suggests the best promotions for each user, suggesting nearby deals and hot offers based on user’s interests. The winner is OneChat, followed by the runners-up: Primo, CloudCommerce and Foodie. The post Meet the winner and the 3 runners-up of SPARK Batch #2 appeared first on e27.